Craft Beer Battered™ Shrimp Platter. Click to download recipe. Introducing ALL NEW signature Craft Beer Battered™ Shrimp & Pollock to go with our current Craft Beer Battered™ Cod. Discover the keys to success by offering a consistent product at a fair price. 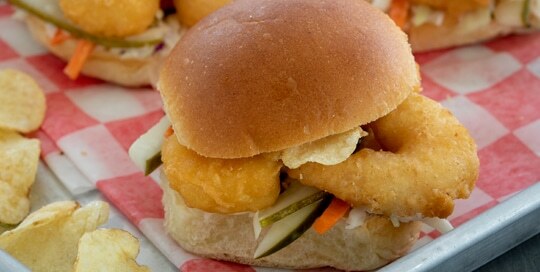 We also have all new recipes featuring a Cali Fish Burrito and Shrimp Sliders. 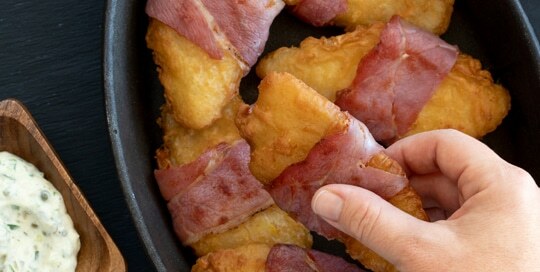 Download our brochure for more information on Craft Beer Battered™ Seafood. 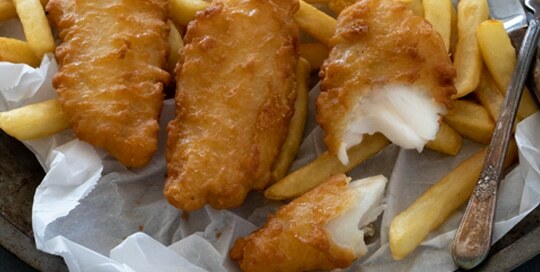 We hand-fillet 100% natural, chemical free, whole muscle cod and coat them with a crisp, thick batter featuring Samuel Adams® Boston Lager. Available in 2, 3 and 4 oz portion sizes. Try Our All New Product BOGO!